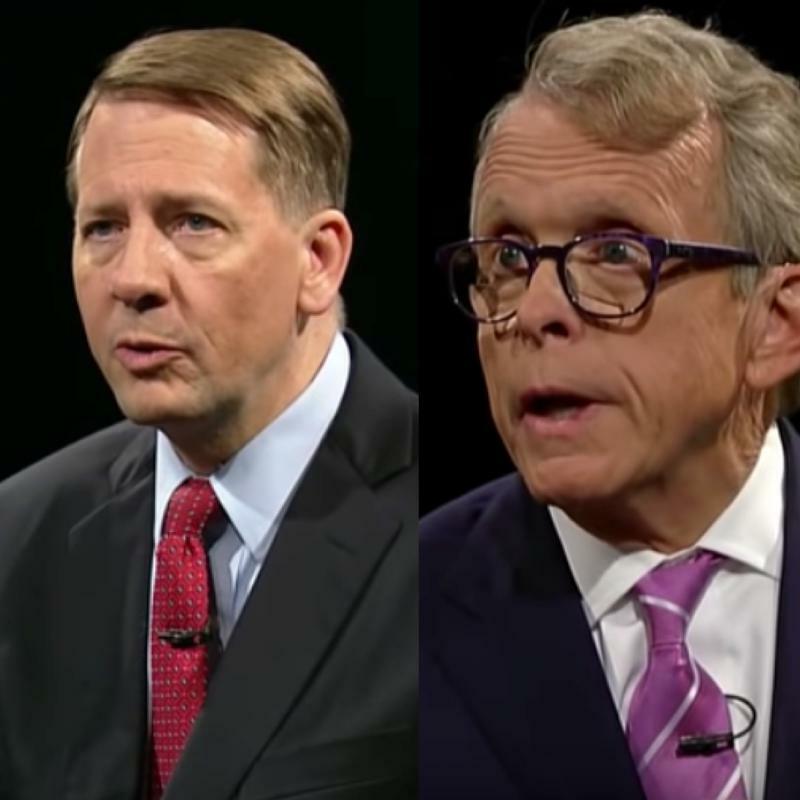 The third and final debate between the major party candidates for governor gets underway Monday night in Cleveland. And it’s perfect timing – since voter registration closes tomorrow. 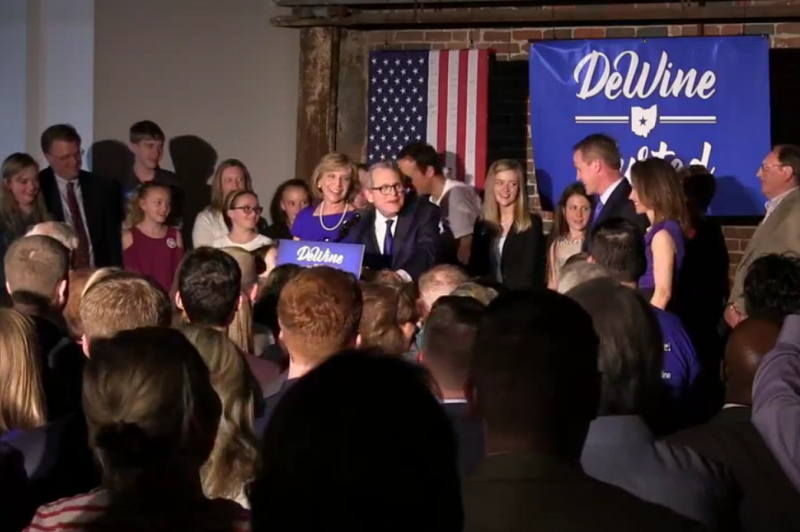 Watch the debate live on the Ohio Debate Commission's website. 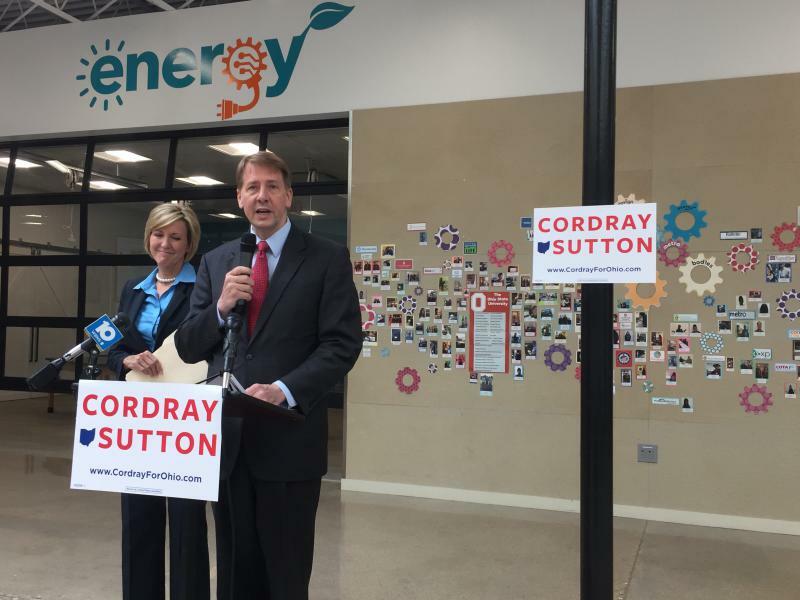 Environmental advocates are pushing their support for Democrat Rich Cordray in his campaign for governor. 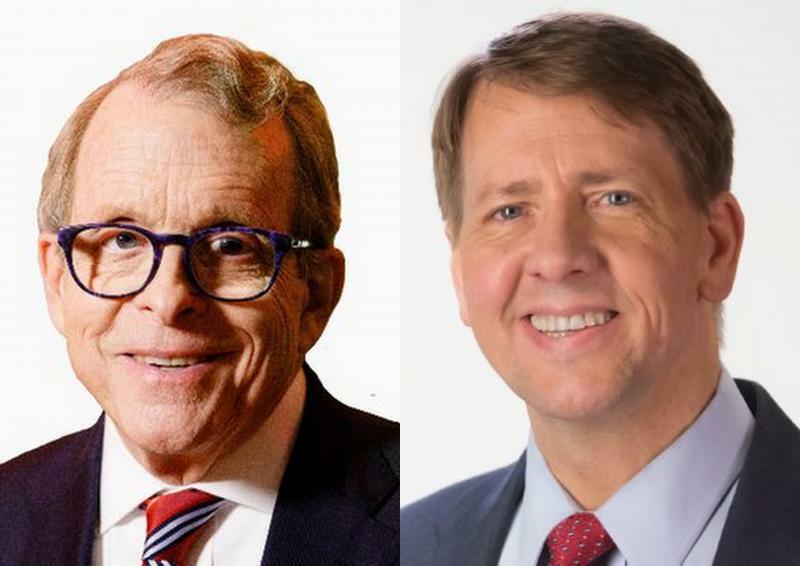 They say between him and his Republican opponent, Mike DeWine, Cordray is the one who will back environmental protections and support clean energy. 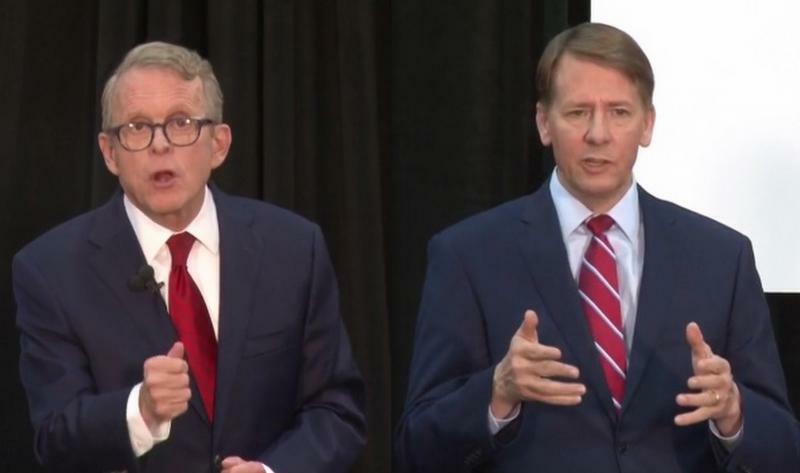 Richard Cordray and Mike DeWine are preparing to square off in their first debate in the race for governor. 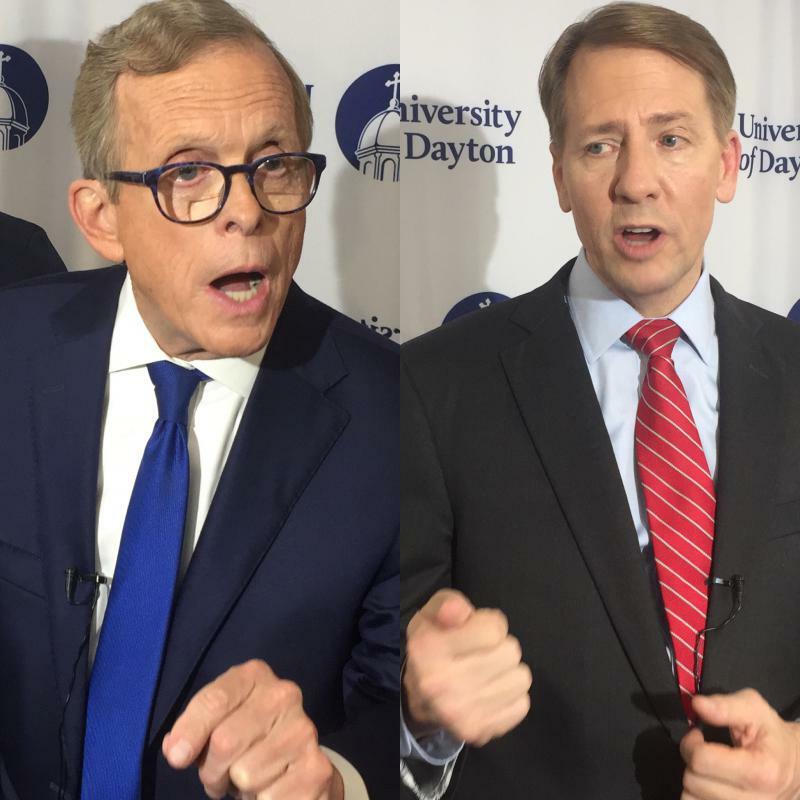 The debate on September 19 in Dayton will be the first time in eight years that both candidates shared a stage to battle over the issues. 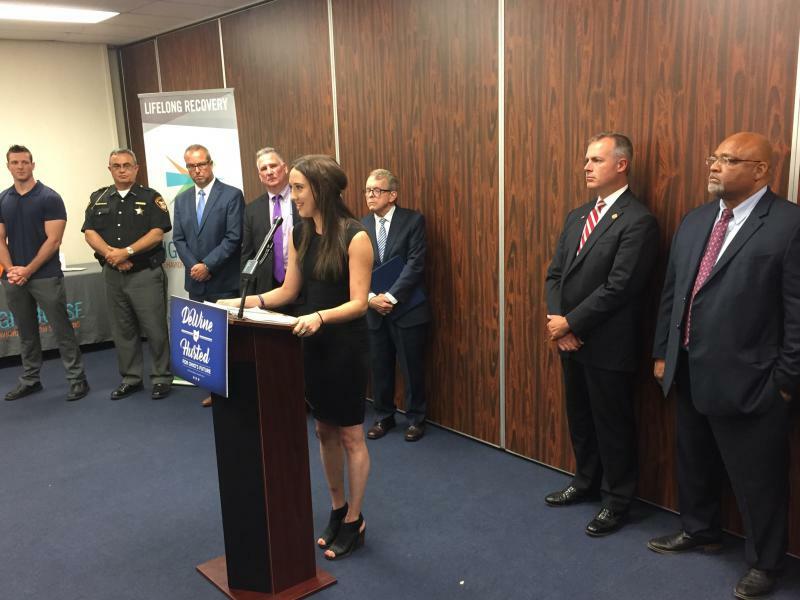 A substance abuse survivor is fighting against the statewide ballot issue this fall that would reduce prison time for non-violent drug offenders. The former addict says, had this measure passed years ago, she would’ve faced a fate worse than jail time. 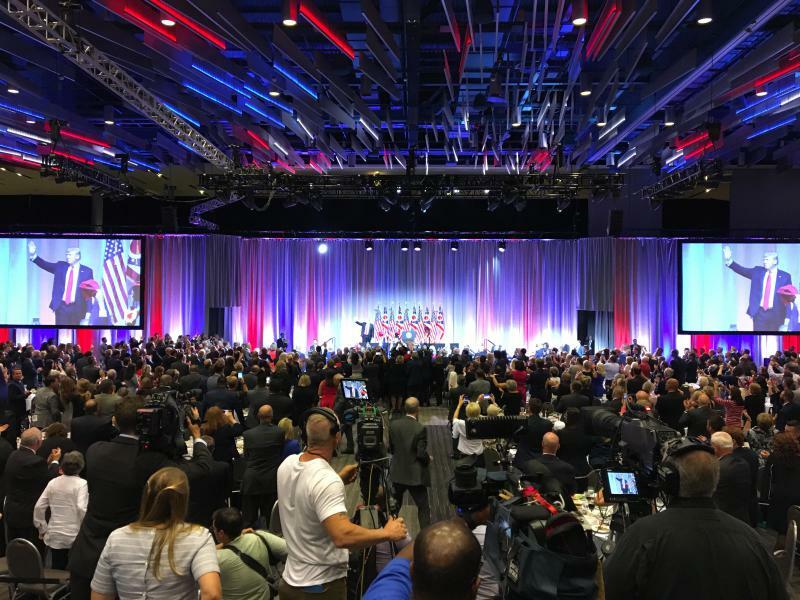 The Ohio Republican Party held the biggest annual fundraising dinner in the organization’s history on Friday – headlined by President Trump. 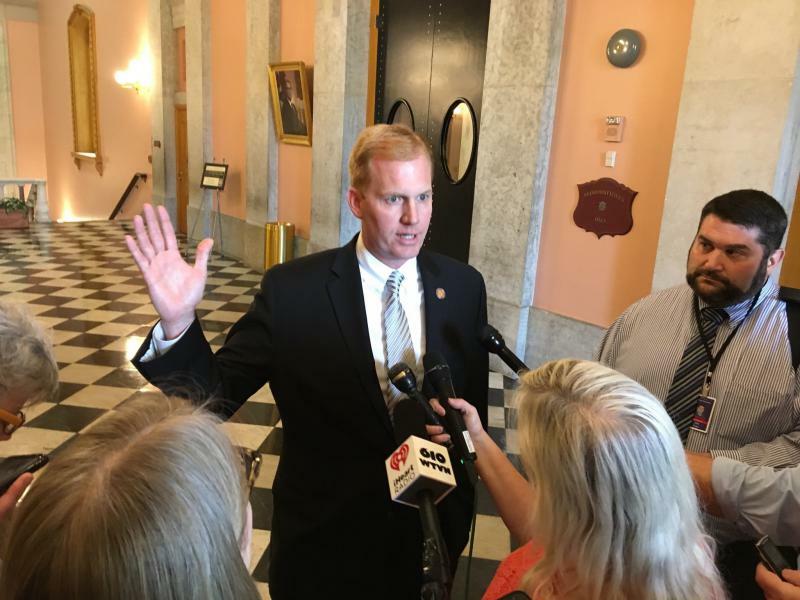 The Trump factor will certainly be part of this fall’s midterm elections and Ohio’s major statewide races this fall, with some experts predicting big wins for Democrats. However, guests at the annual state dinner say they’re unified behind their party. 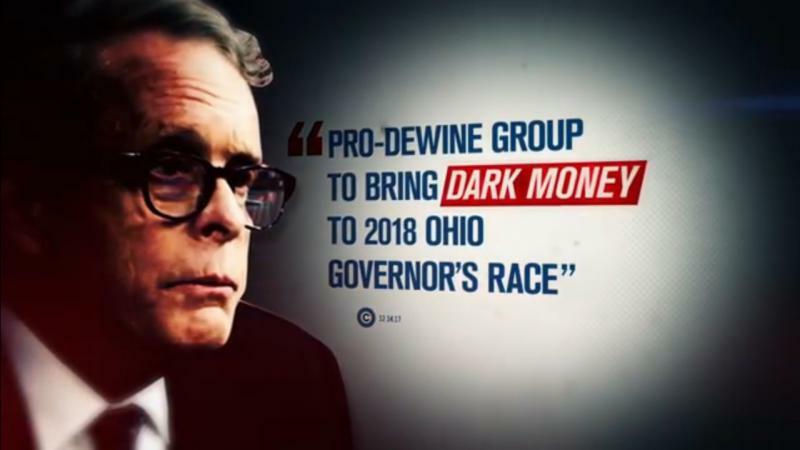 The same day that Republican Mike DeWine aired his first ad of this fall’s governor’s race, a group of Democratic governors launched their ad against him. 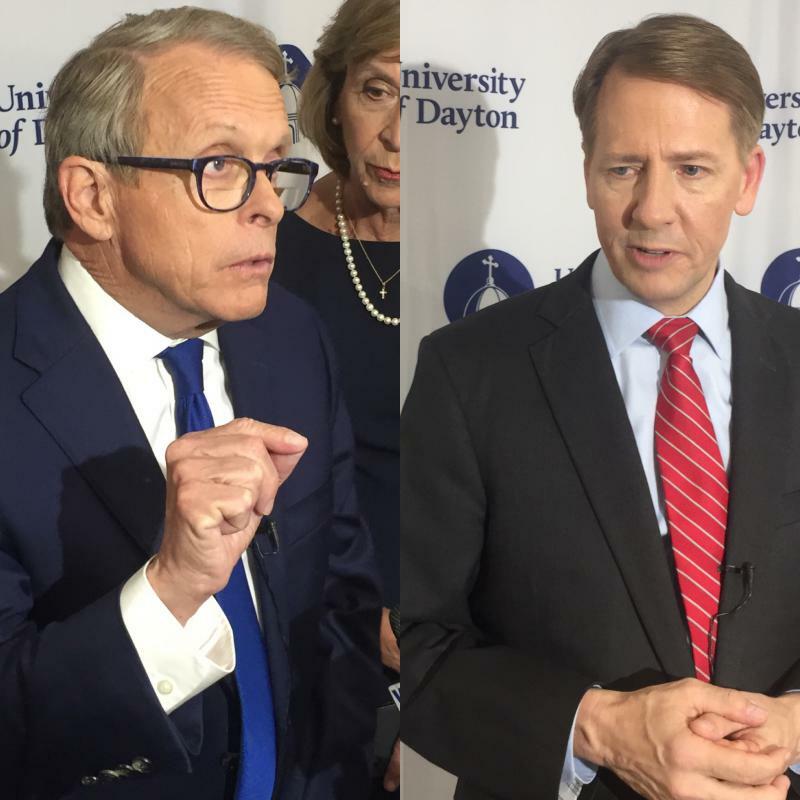 Republican Mike DeWine has put out his first ad for this fall’s race for governor – and it’s a reminder that the two leading contenders in this contest have faced each other before. 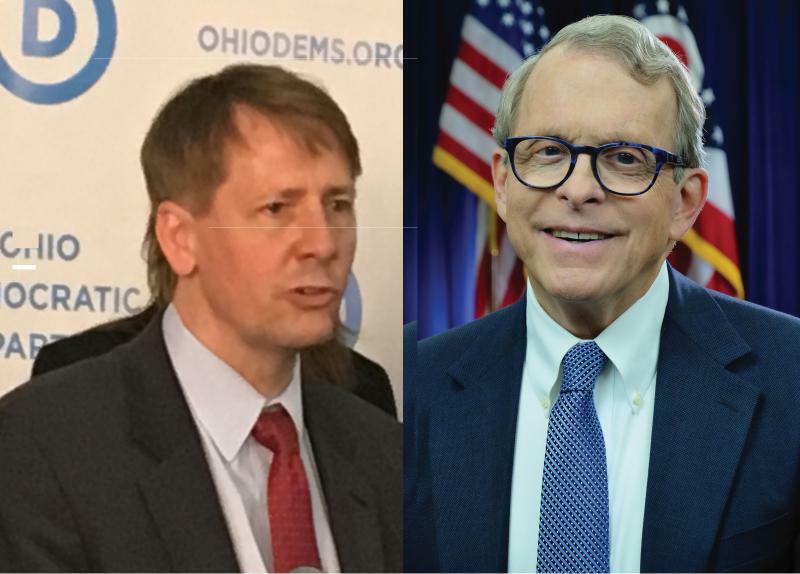 As the candidates for governor gear up for the final push for votes this fall, the Democrat in the race continues to be criticized by many political pundits for being too dry and nerdy. 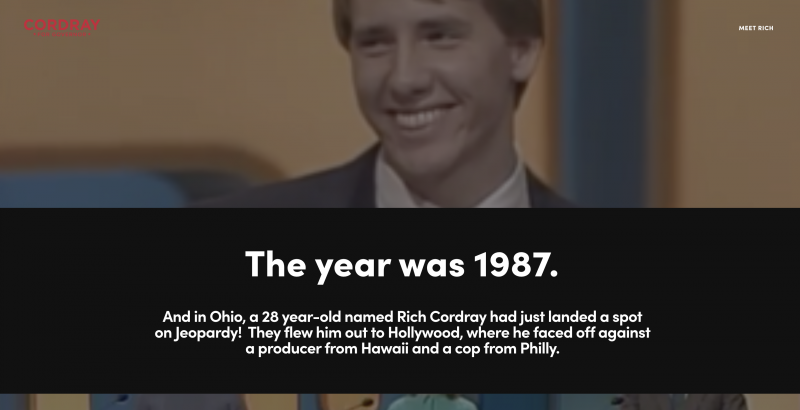 But Rich Cordray himself is launching a social media campaign to capitalize on that image. 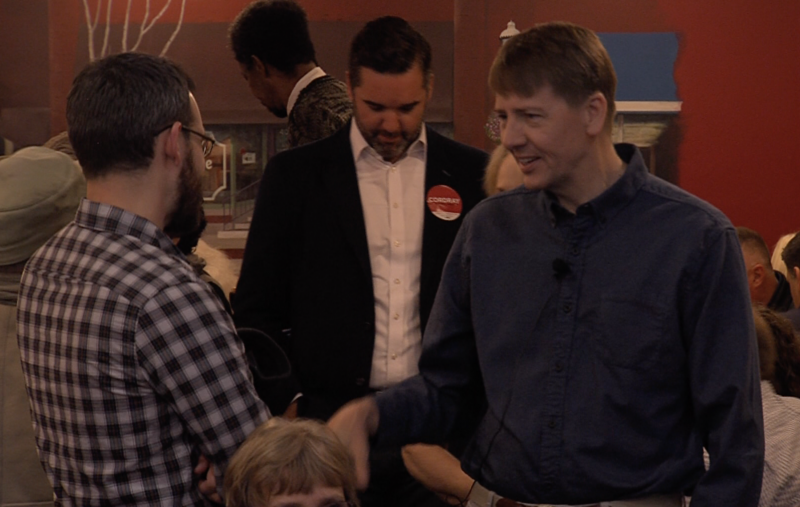 Democratic gubernatorial hopeful Rich Cordray has unveiled a workforce development and job creation plan, saying that workers must come first if the state wants to thrive economically. 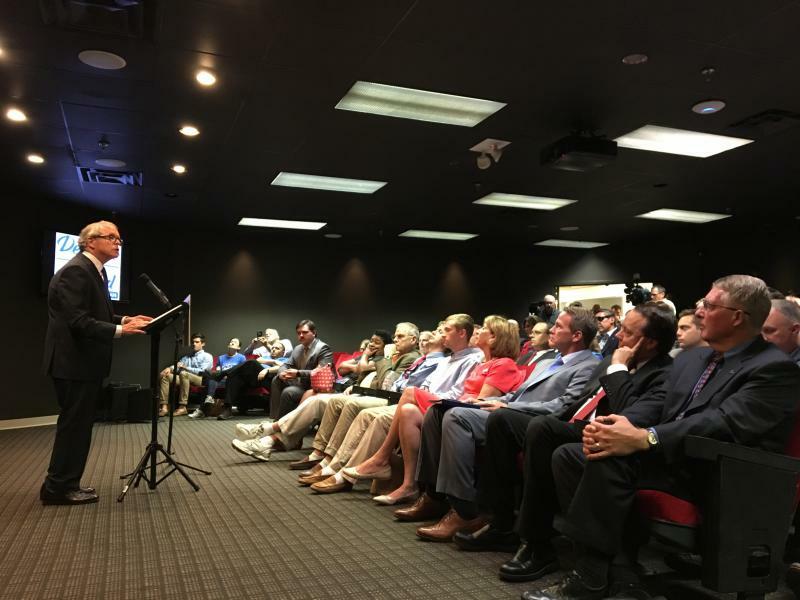 His proposal also includes focusing on small businesses and investment in training. 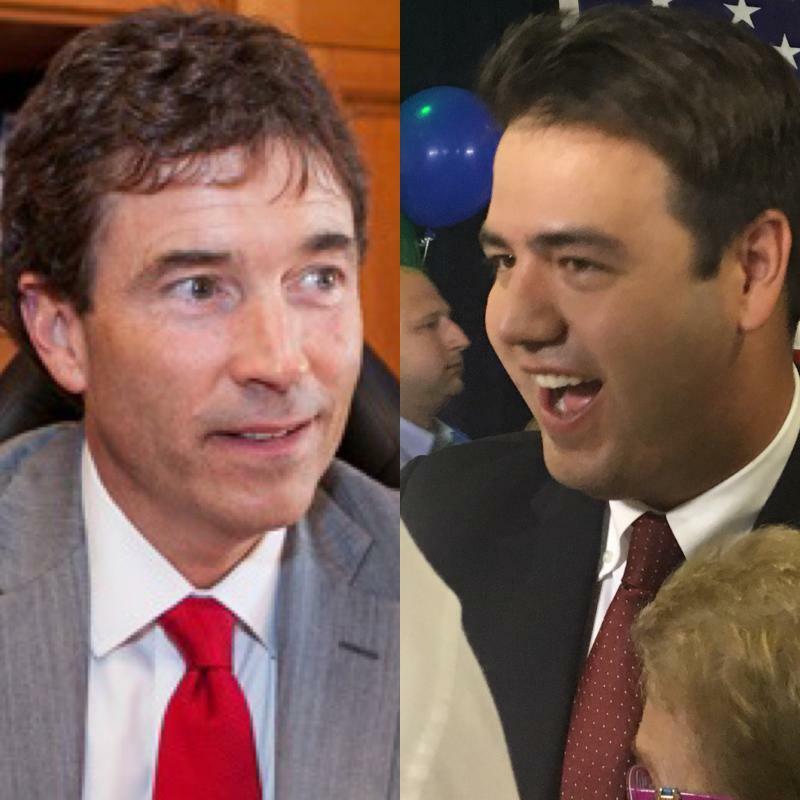 Voters from around the state and around the nation were keeping a close eye on Tuesday’s special election for the 12th Congressional District seat in central Ohio -- not only to see who would replace longtime Congressman Pat Tiberi, who resigned in January, but to gauge where voters fall in the current political climate. So what do Tuesday’s results mean for the upcoming November election? It depends on who you ask. 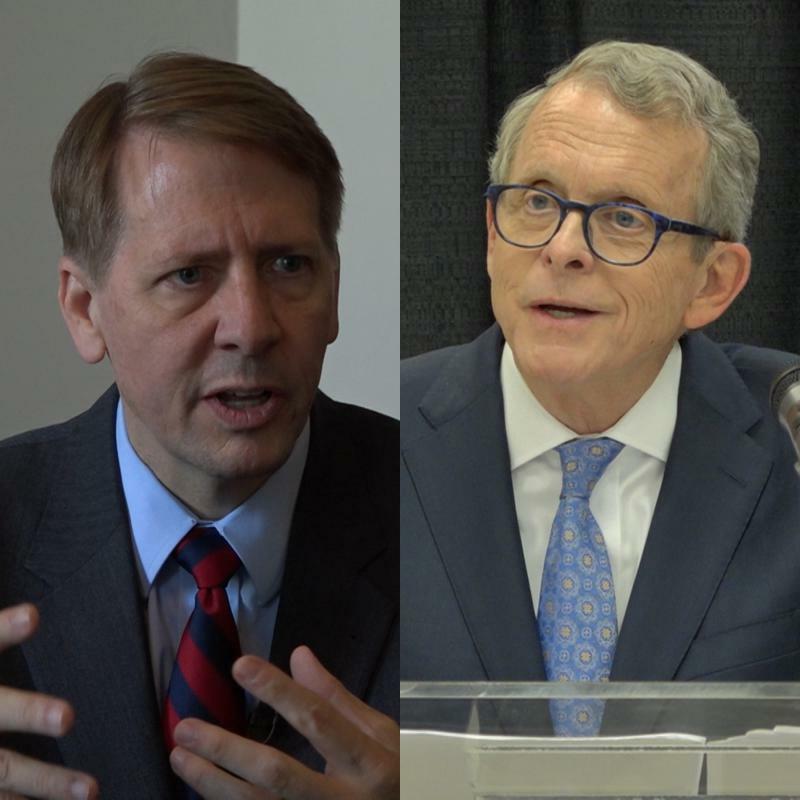 Democratic gubernatorial nominee Rich Cordray is doubling down on his support for Medicaid expansion and it’s economic viability. 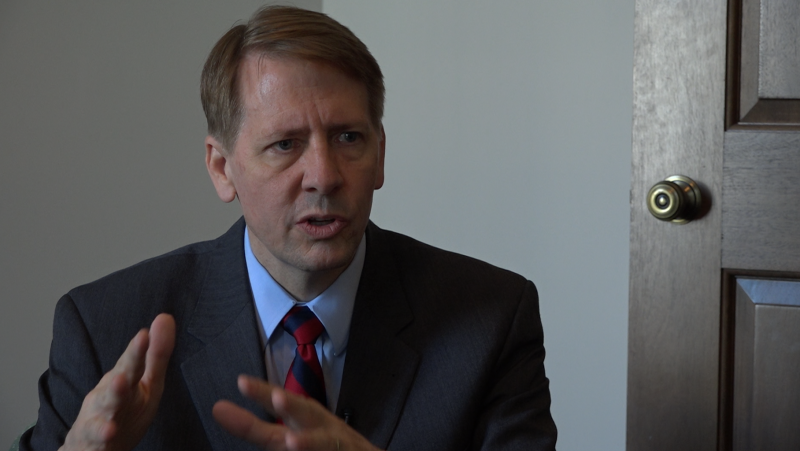 Cordray, along with the Kasich administration, says the program is sustainable and needs to remain consistent. 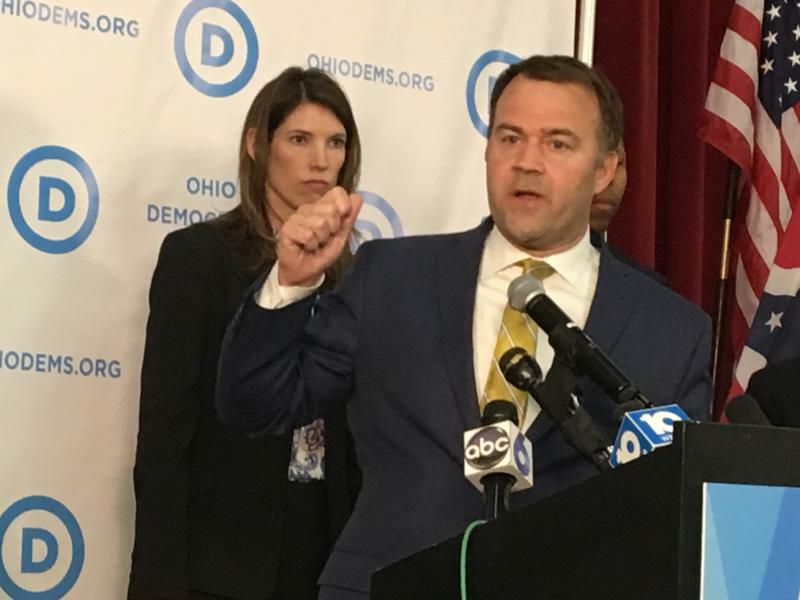 The Democrat running for governor in November has laid out his health care plan. 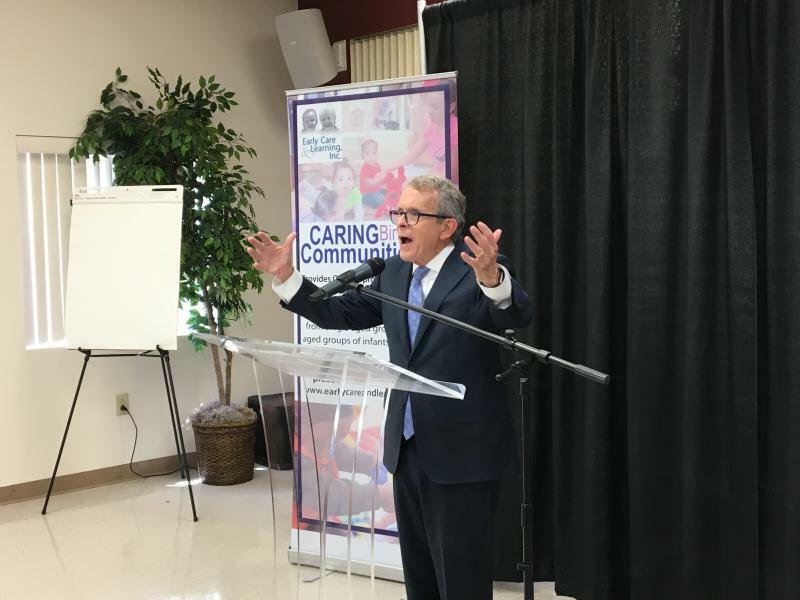 The Republican candidate for governor says he’s had a plan to keep Medicaid expansion for all 700,000 Ohioans covered under it. 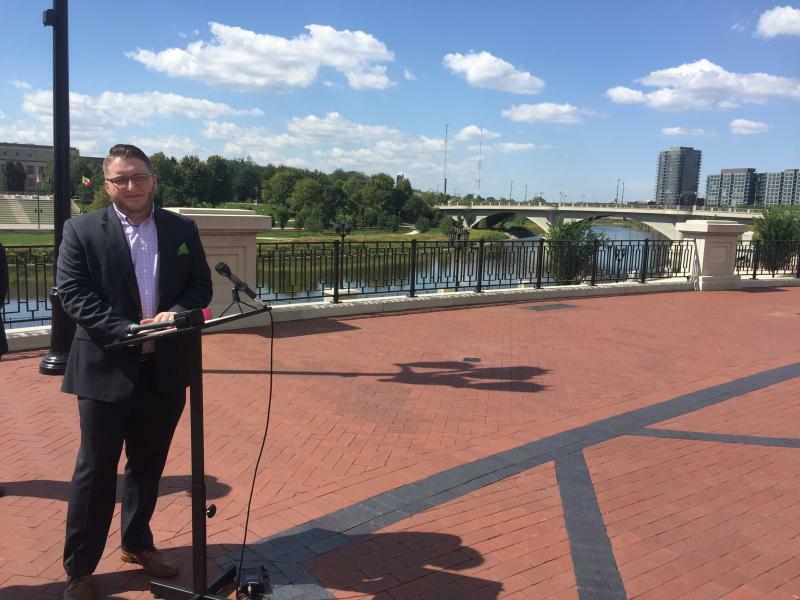 His Democratic opponent calls that a major about-face. 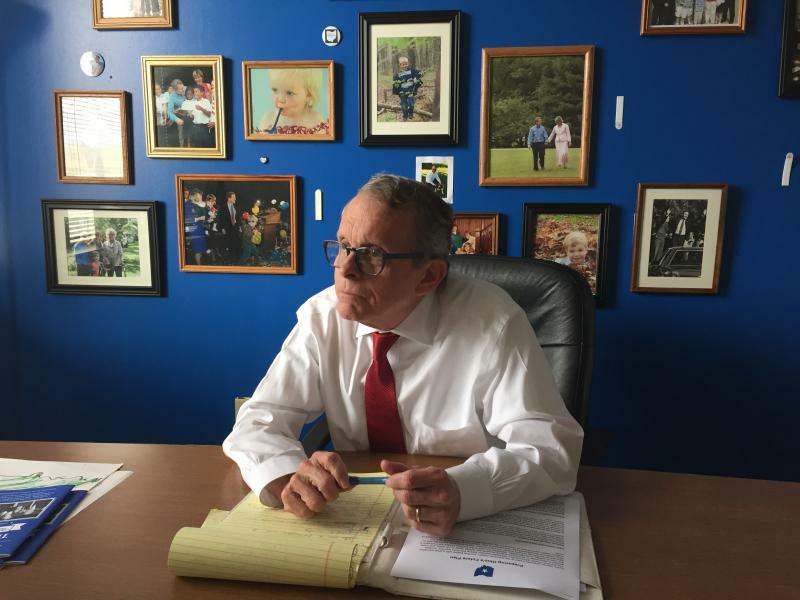 And it shows there’s been a lot of confusion surrounding this key state policy, and what either candidate will do with Medicaid expansion if he is elected. The two people running for governor are laying out their plans for how to help children succeed. 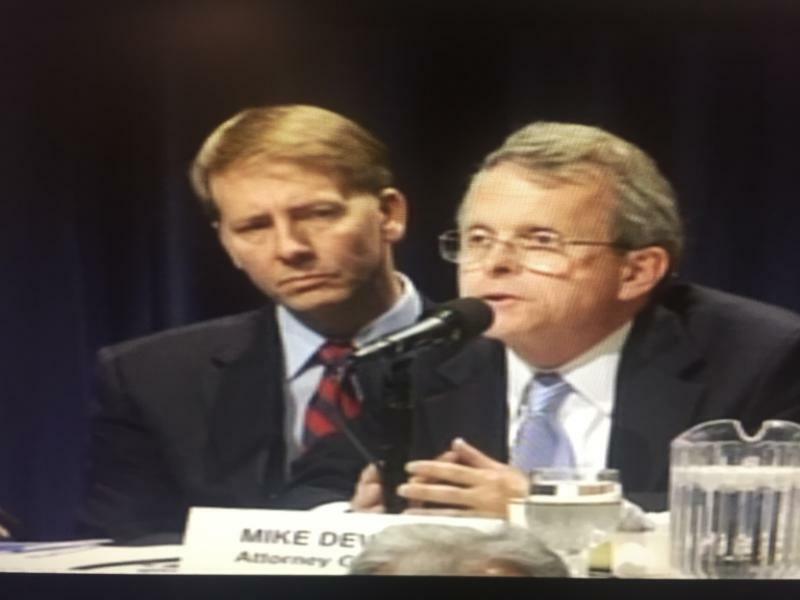 Both Mike DeWine and Rich Cordray say it all begins before the kids are even born. 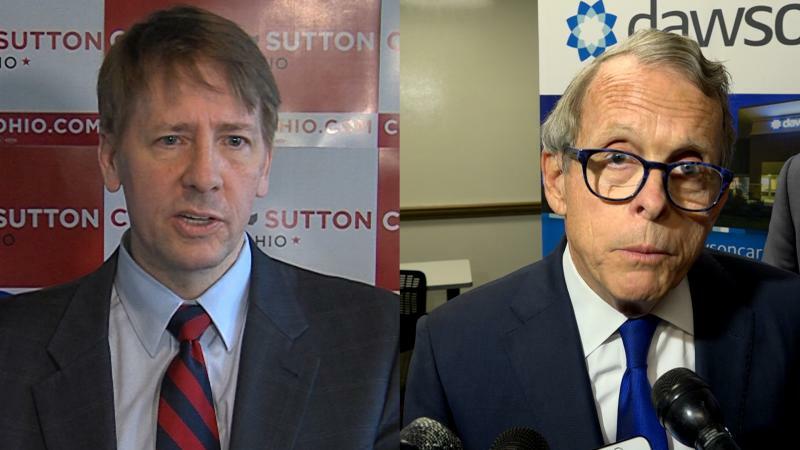 Cordray sees one clear difference between his take and that of his opponent.